The guidance in this video is from December 2016 and may not be the most current information. 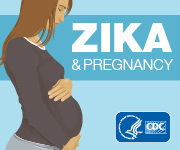 Please refer to www.cdc.goc/zikaExternal for the most up to date information. Describe all available Food and Drug Administration Emergency Use Authorizations for Zika virus assays. Discuss Zika virus testing methods, including molecular and antibody detection. Explain the role of public health laboratories, clinicians, and health departments in Zika testing and diagnosis. Identify Zika virus laboratory testing algorithms and resources. CPE:The Centers for Disease Control and Prevention is accredited by the Accreditation Council for Pharmacy Education as a provider of continuing pharmacy education. This program is a designated event for pharmacists to receive 0.1 CEUs in pharmacy education. The Universal Activity Number is 0387-0000-16-215-L04-P and enduring 0387-0000-16-215-H04-P course category.Course Category: This activity has been designated as knowledge-based.